A dance party inside the The Manhattan Inn, a Greenpoint venue that closed in 2016. NEW YORK CITY — The city Tuesday is set to repeal a rarely enforced Prohibition-era law that effectively made dancing at most bars, clubs and venues across the city illegal. The City Council is expected to vote Tuesday afternoon to repeal the Cabaret Law, which was crafted in 1926 to crack down on Harlem's jazz clubs and has been decried by opponents as racist in its origins. Critics also charged that getting a cabaret license to permit dancing at a venue was needlessly complicated, costly and in some cases impossible to obtain for well-intentioned owners of nightlife establishments. Once the law's repeal is enacted, 120 days after the mayor signs it, venues and clubs won't need any kind of special permit in order for patrons to dance, though the city will retain some of its key safety measures requiring registered security guards and surveillance cameras in venues that have a capacity for 200 patrons or greater. The law was used during the Giuliani administration to crack down on quality-of-life complaints, and former Mayor Michael Bloomberg made several attempts to rewrite or repeal it. In the latest push to nix the law from the city's books, an umbrella group called Let NYC Dance — a mix of DJs, musicians, and bar and venue owners — had been drumming up opposition to the law for several months. 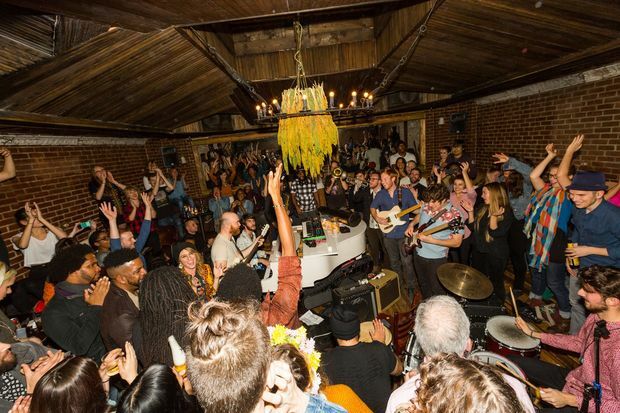 The city — which has been fighting a challenge to the Cabaret Law in federal court by Andrew Muchmore, owner of the Williamsburg venue Muchmore's — initially doubled down in its defense of the law at a June public hearing. In a subsequent hearing in September, however, city officials reversed their stance, saying they hoped to repeal the law. As of Monday, there were 104 clubs with active cabaret licenses and another 20 with pending applications.